Social media is all about being “social” — of course. Socializing in social media is really not all that different from doing it in person. Being social boils down to engaging in conversation — online or face-to-face. For businesses, social media is an opportunity to engage in conversation with customers. It’s this kind of personal interaction that generates loyal customers. In a recent blog Stephanie Marcus of Mashable pulled together a list of the 5 Most Engaged Brands in Social Media. Looking at the big name brands and the extent they go to to reach out to their customers and build their brands using social media, I thought a few things could be learned (and adapted) for small businesses. 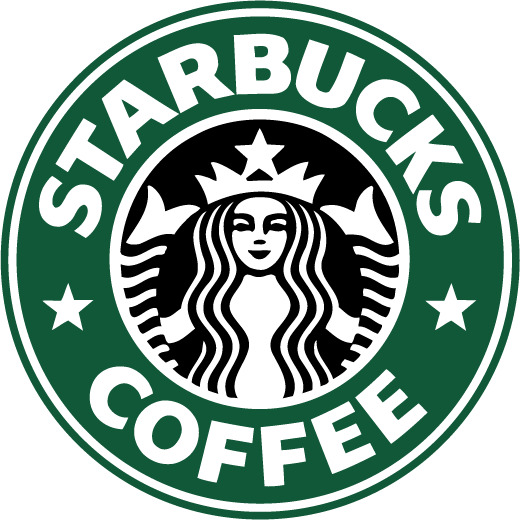 You’ll note the majority of messages posted on Starbucks wall are not from Starbucks. Instead, most comments are from customers. With 19 million “Likes”, it’s no wonder the traffic and comments they get from customers. Looking at Starbucks’ posts you’ll see they far more than just plug their products and shout out specials of the day. Asking simple questions, like “what’s brewing this weekend” generated almost 9,000 Likes and 1,224 comments. Posting photos and videos regularly also results in lots of activity. Lesson Learned: Think beyond product postings & shout outs for specials of the day. With 22 million Likes it’s easy for Coke to get 20,000 Likes to a post. One thing Coke does on its Facebook page, too, is ask simple questions to prompt conversation. Take a recent question asked to Coca-cola’s Fans — Straw or no straw? It doesn’t get much simplier. That question gathered 3,379 people to Like it and 5,973 to comment on it. Coke’s photo page is very popular, with almost 12,000 pictures posted by fans — and every one of them showcasing Coke products and people engaged with it. Lesson Learned: Ask simple questions! 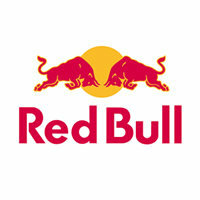 The third most engaged brand, according to Famecount, has more than 16 million fans on its Facebook page. Recently the cookie was awarded by the Guiness Book of World Records for the most Likes on a Facebook post within 24 hours — making Oreo the most “Liked” cookie on record, as reported on its Facebook page. 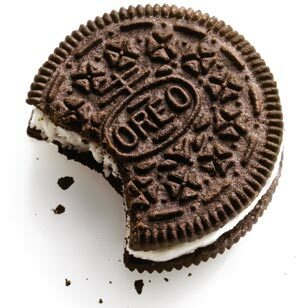 Oreo’s profile image is one of the best ways the brand engages with its customers. A fan of the week is showcased eating an Oreo in a customer-sent photo. How’s that for enticing customers to send photos. And, if you consider the viral opportunity of such a feature … if you were picked as fan of the week would you post it to your Facebook page to share with your friends? Bet you would! They also capitalize on holidays in call for photos. Just last week Oreo posted a request to share with them an “Oreo Moment” photo showing fans eating Oreo with their dad with possibility Oreo might share it on Facebook on Father’s Day. In three days since this was posted, 705 people Liked it and 116 commented. Lesson Learned: Enlist fans to share photos using your product. 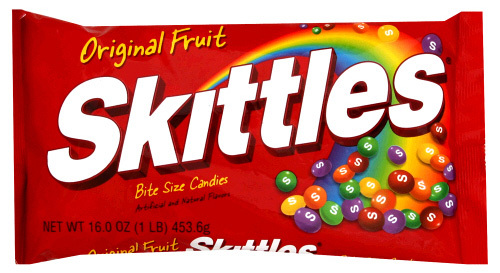 Skittles has successfully leveraged it 15 million Likes to bring fans together to do big things. Mob the Rainbow launched last year with a suggestion to send some love on Valentine’s Day to someone who doesn’t typically get much – parking enforcement officer. Following Skittles request, fans sent 43,037 cards to the officer. Mob the Rainbow’s current effort involves crashing an 85 year-old grandma’s birthday party. They’re shooting for 9 million Skittle fans to attend the event just by clicking an icon on their Facebook page. Lesson Learned: Give your fans a chance to come together and do something big. The wildly popular energy drink gives its 10 million-plus Facebook fans the opportunity to participate in fun, off-the-wall contests — all revolving around the product. They hosted a contest in 2009 called “Red Bull Stash” where they hid energy shots across the country and posted clues to find them on their Facebook wall. More recently, they’re sponsoring a scavenger hunt with the San Francisco Giants and tying Facebook Places into the contest. Photos of autographed baseballs were hidden throughout San Francisco. Lesson Learned: Get creative! Offer chance for fans to participate in a contests, games, scavenger hunts. I’d love to hear your thoughts on the Facebook activities of the 5 biggest brands in social media. Do you know of other brands doing big things with Facebook to successfully engage with fans? I met a lady today who has BIG ideas and is making BIG things happen for school-age kids in Lansing and surrounding areas. Margaret Holtschlag took her 4th grade class to the Michigan Historical Museum in Lansing, Michigan. It was a typical field trip where the students were routed from one exhibit to another, kept in a straight line and barely allowed to speak, much less ask questions. Margaret left frustrated … “there’s so much for students to learn at the museum,” she thought. She decided to do something about it. She called the museum after their class field trip and asked if she could bring the students back for a week-long visit. “Why would you want to do that”? museum staff asked. She showed them why by creating the BIG History Lesson. Just one of the curriculum programs Margaret has developed since that trip to the Historical Museum back in 1998. Today I spent several hours chatting with Margaret about her BIG lessons, particularly the BIG Zoo lesson at Potter Park Zoo in Lansing, which is celebrating 10 years of bringing students to the zoo for a week of total immersion in animal life. Last year 1,450 kids had the chance to live and learn outside the walls of their school and within the fences of Potter Park Zoo. After just a few minutes with Margaret, it’s easy to see why the BIG programs are so successful. Her vision, enthusiasm and passion are infectious. Story after story of students, teachers and parents working together, fully engaged in the learning process left goose bumps running up and down back of my neck. After earning the Michigan Teacher of the Year award in 1999-2000, Margaret set out to spread her BIG plans throughout the community. At a conference in San Antonio, Texas she heard Gillian Kydd speak about her work implementing the Open Minds program in Calgary, Canada. Hearing Gillian describe her plans and ideas for Open Minds, she was amazed. “She was describing my exact thoughts and ideas,” Margaret recalled. She marched right up and introduced herself to Gillian. They’ve since shared progress, successes and ideas as both programs have taken off. Contemplating our chat on the hour-long drive home from Lansing, I was struck by a couple compelling thoughts. First, as a Mom with three of four kids still attending K-12 public schools, I was jealous. I want my kids to experience a BIG lesson, taking their learning beyond their classrooom and even school and allowing them to really see, feel, touch, smell, hear, taste their curriculum. Second, I was inspired. Listening to Margaret tell about the too-numerous-to-count times she’s witnessed the real life impact of the BIG Lessons, I was awed by the opportunity Margaret has provided to the many teachers, students and parents. But also at the opportunity she has had herself to bring a BIG idea to life, watch it take off and provide positive learning experiences for so many people. 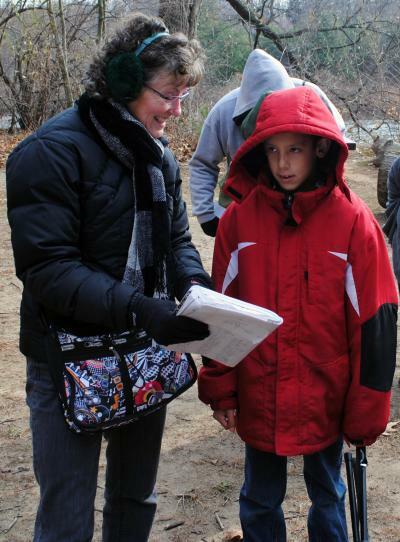 Margaret says it all started with a “need” … a need for a better chance for kids to fully-experience all the learning possible through some of the assets located within the community — a historical museum, zoo, nature centers and science center. There are so many possibilities for learning once you get outside the classroom and Margaret has BIG plans for even BIGGER lessons. One of my very favorite songs came into my head this morning. It’s a tune from one of very favorite movies of all time – The Sound of Music. While there are lots of incredible songs in that movie, the one I love the most is “My Favorite Things”. From this song came an idea for a new regular addition to this blog. From here on out, among other posts, I’ll include a collection of various things I come across that strike my fancy. The types of things that you can expect to see in “My favorite things” will run the gamut from girly stuff like make-up that works really good to tech stuff that helps me do my job better to random postings from the internet that are just plain interesting & useful in some way. Basically, what you’ll find is a collection of cool people, places and things. So for starters, considering my favorite song came to mind while in front of the mirror putting on my make-up, the first rendition of “My Favorite Things” features my favorite make-up. (sorry guys, this one’s for the ladies). So, my favorite make-up … and the winner is — well, I wil tell you it’s not a fancy designer name, rather an inexpensive store brand — Maybelline Dream Mousse. It costs about $7 at any drug store or big box retailers. So easy to find & easy to get. Literally after 20-plus years of trying all kinds of make up, finally discovered foundation make-up and concealer that really works. Funny thing is how I discovered this incredible stuff. My source would be my eldest daughter. I often get hand-me-downs and left overs from my daughters, which is exactly how I first tried Mousse. Since getting the hand-me-down, I purchased my own Mousse in my exact color – Sand Beige, medium #1. After discovering the foundation, I then discovered the concealer version of Mousse. I’m now convert of this, too. Works way better than any stick version or liquid I’ve ever tried. So, there you go … very first posting in the new addition to my blog. You can look forward to lots of additions to the list of “My Favorite Things”. If you have any suggestions for things I should add to the list, feel free to pass ideas along.